Now I have to admit, this isn’t my idea. 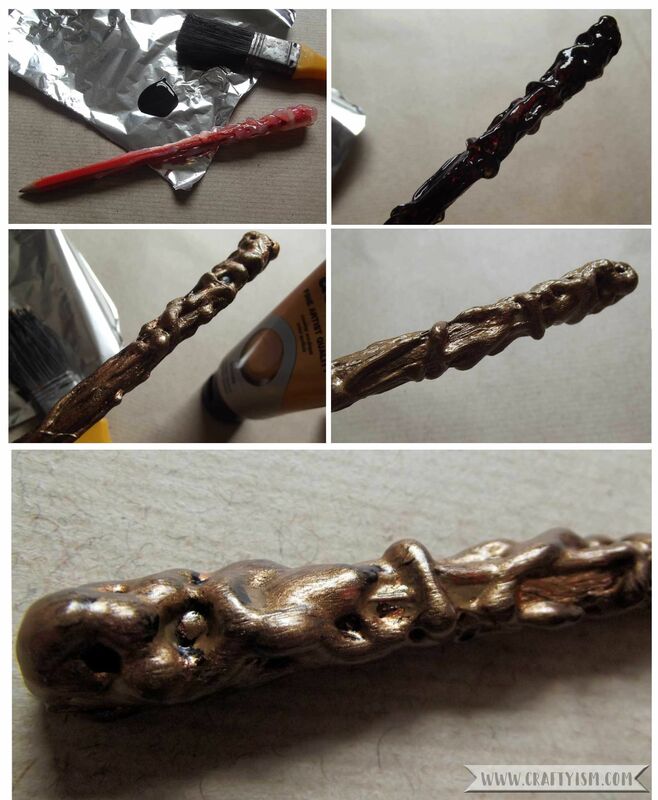 I have seen this technique used to turn sticks into wands as party favours on Pinterest and I thought it was amazing! I don’t remember seeing it done as a pencil though and I thought it would go great with the Monster Book of Monsters Notebook I showed you how to make yesterday. 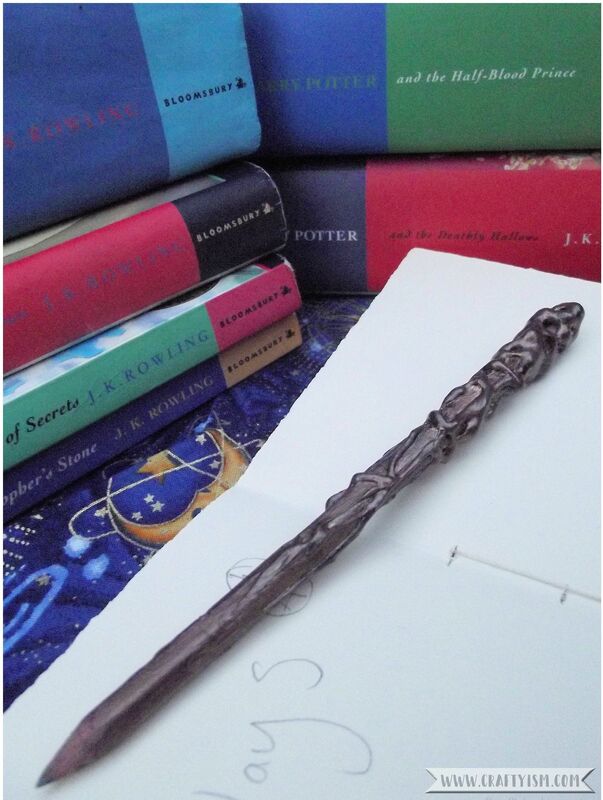 So all credit to the original idea creator, you are a genius, but here is my take on this idea – the wand pencil! 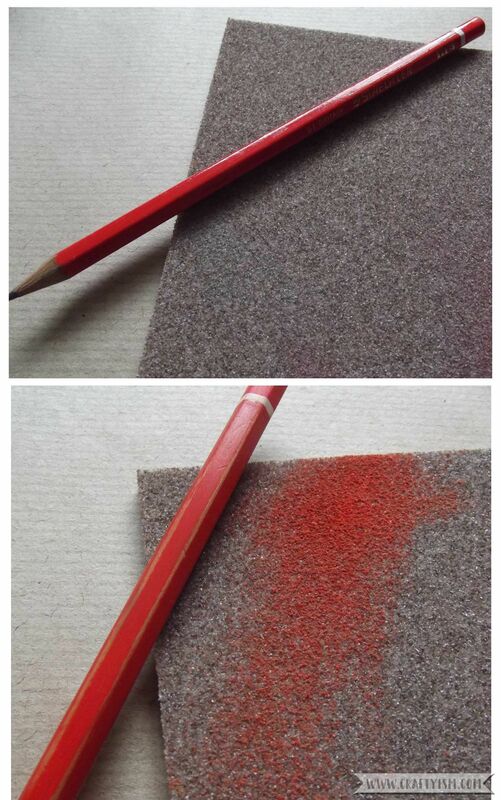 Use the sand paper to gently sand off any varnish from your pencil. This will help the glue and paint to stick. 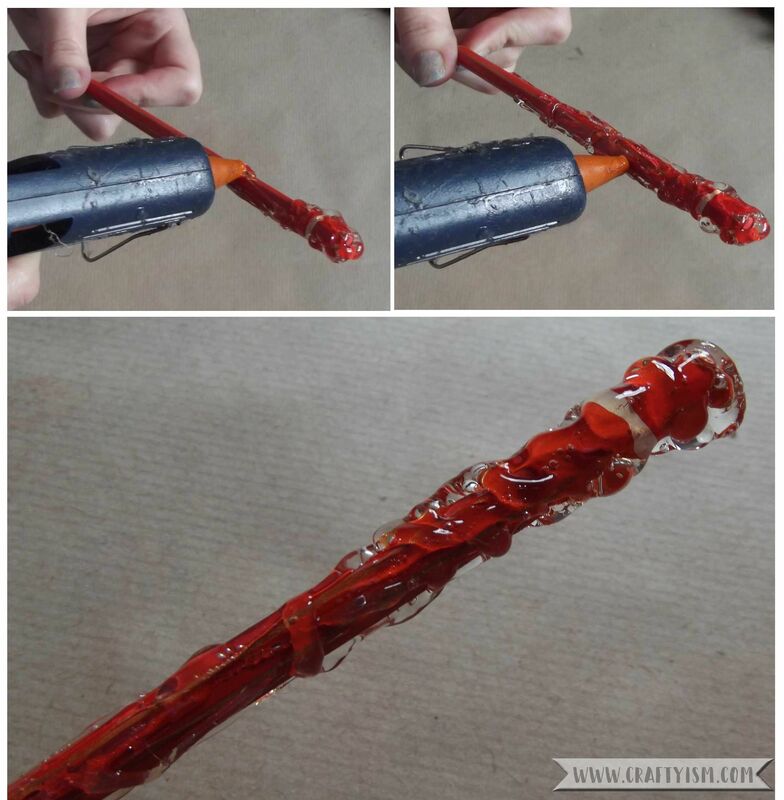 Take the hot glue gun and apply layers and blobs of glue to the pencil. You want this to look really random like knobbles of wood! Apply a large amount of glue to the end of the pencil and wind the glue down to taper out an inch or so above the point. Stand the pencil up until the glue has dried. Once the glue is dry, use the paint brush to apply the black paint all over the pencil and glue. Once this has dried, apply a layer of copper paint. You can be more carefree with this layer as you still want to be able to see some of the black. Lastly apply a thin coat of brown paint, again making sure that some of the black and copper show through. The aim is to get a wood effect with the paint layers. It’s that easy. I love this idea and I can’t help but try to find other things in my house I could wand-ify; knives, forks, toothbrushes… (OK, I struggled for other things after those three :D) I will bring magic into my everyday life!